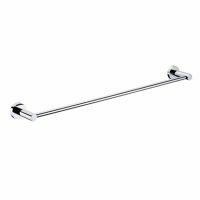 Complement your bathroom vanity with the sleek and stylish Round Towel Ring. 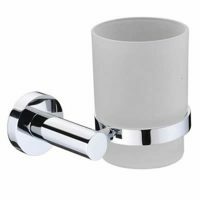 This functional bathroom accessory boasts a minimalist design and polished chrome finish, delivering a cool, bright and reflective metallic look. The Round Towel Ring weighs 0.1kg and offers enough space to hold fluffy towels. Rest assure it will do very well to complement your tapware and bathroom décor. This quality product has been designed to offer easy installation and comes complete with a fixing plate and fixing screws. 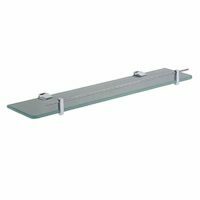 The fixing plate hides the fastening screws, making for seamless and neat installation. It is recommended for install near basins, baths and showers. The Round Towel Ring is also manufactured to the finest standards of quality. It makes use of solid brass construction and is therefore incredibly sturdy and reliable. Moreover, the polished chrome finish is very durable and it will not lose its charm even after many years. 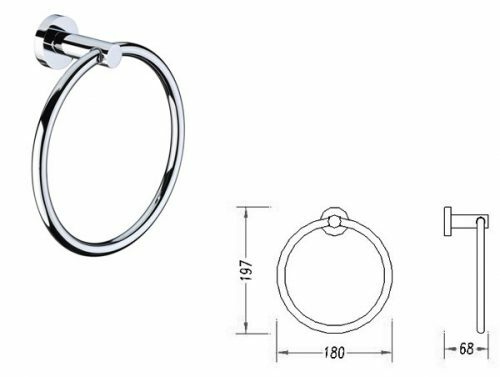 The Round Towel Ring is built to last and will easily withstand the rigors of daily bathroom usage. 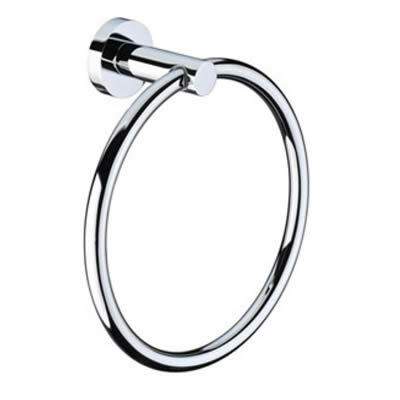 So, go ahead and accessorise your bathroom with the gorgeous Round Towel Ring. Buy this towel ring at the lowest market price from our store today and avail of our 14-day money back guarantee!